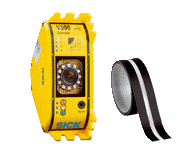 Safety camera systems from SICK are electro-sensitive protective devices based on image processing technology. Sender and receiver are integrated into a single housing. The compact camera systems do not require any additional software and can be commissioned at the push of a button. Automated alignment makes for high flexibility when defining the protective field. and the high degree of freedom in the machine design optimizes ergonomics for the operator.